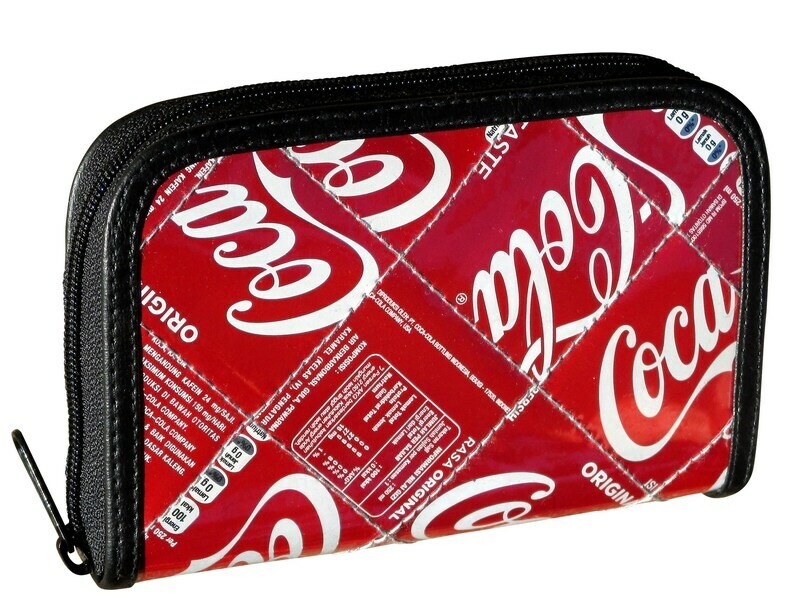 Medium size zipper wallet made from classic Coca Cola can, cut into squares and placed randomly. Protected with a layer of clear plastic. - A clear pocket for coins to allow easy coin searching. - Pockets for cash, extra cards, tickets, and anything else you need. - Polyester fabric used for lining and inner pockets.